What are the newest frontiers that open source software is conquering? Black Duck's latest open source "Rookies of the Year" report, which highlights areas like blockchain and SDN, provides some interesting insights. The report, which Black Duck published Monday, highlights what the company calls "the top new open source projects initiated in 2016." It's the ninth annual report of this type that Black Duck has issued. Some of these areas are not surprising. For example, open source network security projects are not especially new. As Black Duck notes, new projects have arisen in this space over the past year, such as Poseidon and Trireme. (These projects also continue the trend set by the Kubernetes folks of naming open source projects after ancient Greeks gods, personages or military technologies, but I digress.) But open source networking platforms like snort and OSSEC have been around for years. It's also not particularly surprising to see open source leading the way inside the container ecosystem. All of the major projects in the container world — LXC, Docker, Kubernetes, etc. — were open source from the beginning. In fact, what would be strange at this point is to see a major platform emerge in the container space that was not open source. More interesting, perhaps, are the inroads that open source is making in niches like education. The Black Duck report highlighted Kolibri, a project that aims to make educational resources available to people without reliable Internet access using open source technology. There's actually a pretty long history of open source folks trying to enable better education through technology. Think of the One Laptop Per Child project, for instance, or MOOCs — online courses that are usually delivered via open source platforms and are rooted in the idea that educational information should be freely shared and accessible in the same way as open source code. But what makes projects like Kolibri different is that they do not assume that everyone has access to the Internet. In fact, Kolibri is designed specifically for people who don't have good Internet access. That's an important differentiator — and a key insight for the open source community, which has perhaps historically not always appreciated the fact that lots of people don't have ultra-fast Internet connections like those available to open source developers. Open source's activity in the blockchain niche is notable, too. Blockchain initially became widely known thanks to Bitcoin, the somewhat shadowy online currency. Bitcoin is still around, and it's still an open source project. 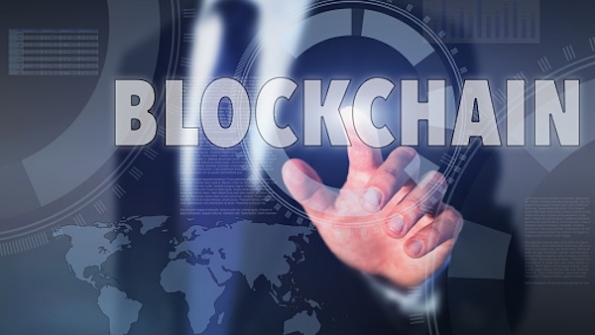 But as blockchain technology makes greater inroads inside traditional industries, open source developers are pushing forward other projects, like Sawtooth Lake and Hyperledger, the distributed ledger project launched under the direction of the Linux Foundation in early 2016.